A new set of physicians’ rules has been approved for the NFL concussion settlement, and while those rules do not explicitly alter the criteria for a qualifying diagnosis, they do include a number of wholesale changes that could make it more difficult for ex-players to obtain settlement payments, just as some plaintiffs’ lawyers had feared. The new rules, which were approved Thursday by Senior Judge Anita Brody of the U.S. Eastern District of Pennsylvania, result from an order Brody issued in January that directed the claims administrator, BrownGreer of Richmond, Va., to craft “a clarification” of the existing rules. That order triggered a public spat—which eventually involved Donald Trump hatchet man Roger Stone, of all people—between two groups ostensibly on the same side of the litigation: individual plaintiffs’ attorneys and Christopher Seeger, the co-lead counsel who represents the settlement class. Both groups have been feuding over the settlement’s particulars and lawyers’ fees for years. But the plaintiffs’ lawyers viewed Brody’s January order as a way for the NFL to backdoor more of its attempts to aggressively audit claims, while Seeger told me the substance of any changes would instead simply be administrative. With Thursday’s order, Brody emphasized the need to “safeguard the integrity of the Settlement Program.” Indeed, the thrust of the new rules takes aim at combatting alleged fraud, even though most claims for early and moderate dementia have not been approved and many claimants have found the settlement process to be overly onerous. Now, thanks to the new rules, there may be even more hoops for claimants to jump through. The new rules apply to a group of physicians operating under what’s known as the Monetary Award Fund (MAF) program. Players who choose to file a claim by going the MAF route may pick their doctor and arrange the time and location of their appointment. They also must pay for the visit or have their insurance cover it, where applicable. The new rules tighten the requirements for MAF qualification and spell out more specifics for neuropsychological testing. They also specifically limit the distance (150 miles) a player can travel from his home to see an MAF physician. If the MAF physician refers the player to a neuropsychologist, that neuropsychologist must be within 50 miles of the MAF physician. MAF physicians are also required to obtain any “employment information and business activities” dating back five years from the date of the MAF appointment, in addition to “any social, community, recreational or other activities by the Retired NFL Football Player outside the home around the time of the MAF Examination, whether these activities have changed over the five years preceding the date of the MAF Examination and, if so, how they have changed.” BrownGreer, the claims administrator, could use this information when determining whether to approve or deny players’ claims. Additionally, two members of what’s known as the Appeals Advisory Panel (AAP) may consult with BrownGreer to provide “advice and assistance on any medical issues arising in the monitoring of the work of” the MAF physicians, in addition to determining an MAF physician’s compliance. The AAP may also now review diagnoses made by MAF physicians terminated by the claims administrator. Previously, the AAP’s duties were largely limited to reviewing claims made as result of diagnoses issued before the settlement was finalized; these changes potentially go further toward taking claims out of the hands of medical doctors who have actually examined players. Allegations of fraud have been levied. Patrick Tighe, a Florida-based attorney who represents roughly 70 claimants and is a vociferous critic of Seeger and the settlement, has a number of claims in audit. Last month, BrownGreer filed court papers detailing those allegations against Tighe. But of the 2,751 total settlement claims submitted for all diagnoses (death with CTE, ALS, Alzheimer’s, Parkinson’s, early and moderate dementia) by all claimants, a total of 1,187 (43 percent) have already been in audit, with 196 denied after audit (7 percent), 339 currently in audit (12.3 percent), and 643 (54.2 percent) placed back in the claims process for review. Brody has also appointed a special investigator to ferret out fraudulent claims. It’s true, as Seeger said in his statement, that more than $645 million in claims has been approved, with more than $466 million already paid out, according to BrownGreer’s latest claims report. But those numbers are as high as they are because death with CTE, ALS, Alzheimer’s, and Parkinson’s diagnoses have exceeded expectations, with ALS claims already paying out more in the first two years ($94 million) than Seeger’s actuary anticipated across the 65-year life of the settlement program ($49.4 million) back in 2014. 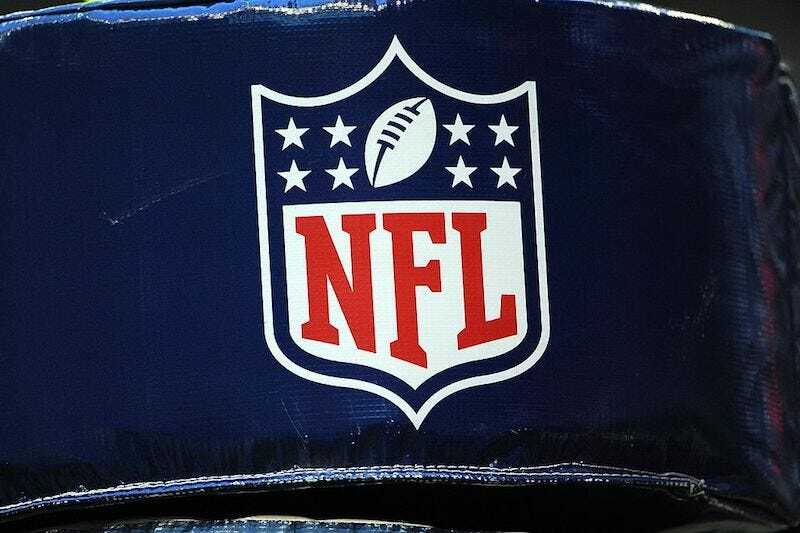 With the settlement uncapped, the NFL has sought to aggressively audit claims. And despite allegations of fraud, that’s already been happening. Early and moderate dementia claims make up 61.3 percent of those 2,751 claims submitted, yet just 329 of them (19.5 percent) have been approved, and only 219 (12.9 percent) have been paid. A total of 361 early and moderate dementia claims—more than the approved total—have been issued a final denial. And the AAP, which can now consult with BrownGreer on MAF claims, has issued 436 denials for all claims (including Alzheimer’s, ALS, and Parkinson’s, in addition to early and moderate dementia). Early and moderate dementia claims can be tricky to diagnose because sufferers can frequently be lucid, but the new rules requiring MAFs to compile five years’ of employment data and community involvement appear to place even more scrutiny on claimants—not to mention an added burden on MAFs, who are doctors, not lawyers or investigators. The old rules can be read at this link. You can read Judge Brody’s order and the new rules for MAFs below.